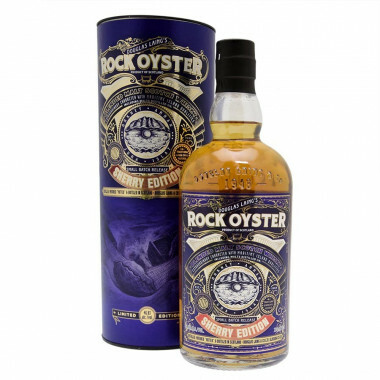 This limited edition of the Rock Oyster whisky has a Sherry finish and is a perfect marriage between the fruity sweetness of Sherry with the salty and slightly peaty spirit of this vatted malt. 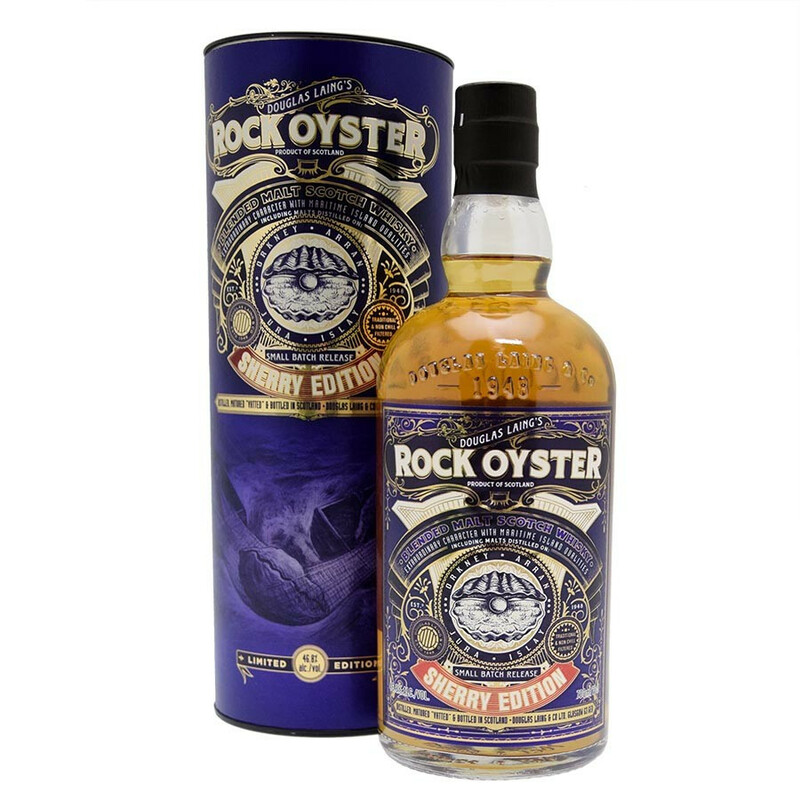 Produced with a selection from Douglas Laing's firm, Rock Oyster Sherry is a vatted malt, blend of Single Malts from various distilleries. This limited edition has benefited from a final maturation of Sherry bringing it rich and spicy aromas. It is a successful marriage between the fruity sweetness of Sherry and the salty and slightly peated spirit of this whisky from the Scottish islands: Orkney, Jura, Arran and Islay. The whiskey has beautifully iodised notes with lemon, peat and the warmth of Sherry. From our long-held stocks, we hand select the finest, and often rarest, Scotch Whisky casks from across all of Scotland’s Whisky regions and bottle them as the distiller intended; at high alcohol strength, and without colouring or chill-filtration. By adding nothing and taking nothing away, we offer the consumer an experience close to sampling Whisky straight from the cask in the depths of a cold, dank distillery warehouse. Nose: sweet with notes of red fruits. Palate: an union of iodised notes with warm Christmas spices, cereal aromas and a sweet peat smoke. Finish: long and salty, balanced with scent of red fruits.